Ready or not, new and emerging technologies will change the face of transportation in the years to come. To help people and organizations prepare for the challenges and opportunities ahead, an August 16, 2016 conference is planned in Ames. 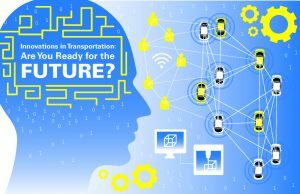 “Innovations in Transportation: Are You Ready for the Future?” is a one-day conference about looking forward and preparing for the transportation systems of tomorrow, said John Selmer, director of the Performance and Technology Division at the Iowa Department of Transportation. “Autonomous and connected vehicles are coming, but other technological advances, such as robotics and artificial intelligence as well as societal changes, also will reshape transportation,” Selmer said. Registration is now available online for the meeting to be held at the Gateway Hotel and Conference Center. The conference is sponsored by the Iowa DOT and the Institute for Transportation (InTrans) at Iowa State University. The conference is designed for anyone wanting a deeper understanding of new technologies and other innovations that will impact transportation. “Conference participants will be able to expand their vision of the future to better manage the coming changes,” Selmer said. The keynote speaker is futurist and author Jack Uldrich, whose presentation is titled “The Big Aha! How to Future-Proof against Tomorrow’s Transformational Transportation Trends, Today.” He will discuss how individuals can become more aware of major transportation changes and use the knowledge to be more efficient, confident and focused in their work. Conference organizers said the meeting will be beneficial for local, state, and federal transportation personnel, researchers, consultants, and those from business and industry.